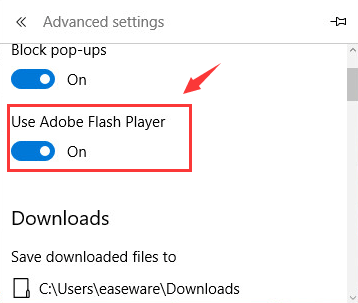 In this post, we will show you how to enable and disable the Adobe Flash Player on Google Chrome, Firefox, Opera and Edge browsers on Windows 10. 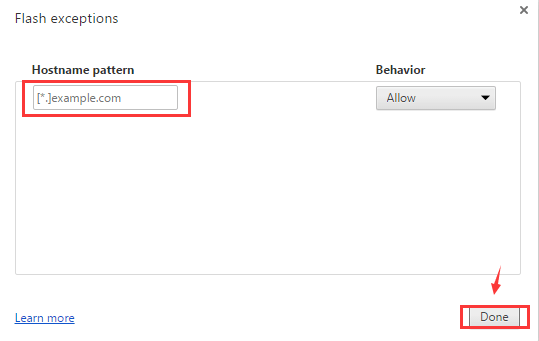 1) Open your Google Chrome browser, type chrome://settings/content in the address bar and press Enter. 2) On the content settings screen, locate Flash player settings. 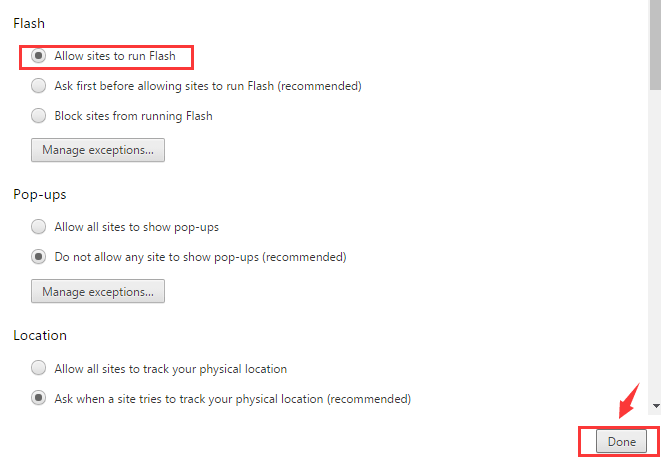 Select Allow sites to run Flash, then click Done to save the change. 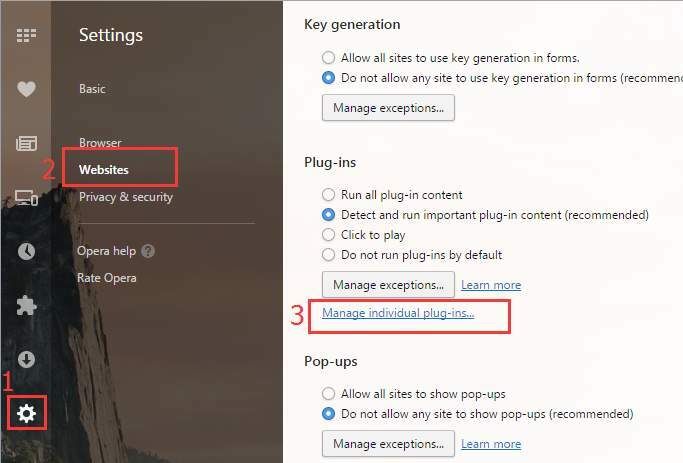 3) If you want to add more sites that allow Flash Player, click the Manage exceptions… button. 4) Type in the site address here and then click Done to save the change. 1) Open your Firefox browser, on the top-right corner, click the three-bar icon and click Add-ons. 2) On the left side, click Plugins. Then click Shockwave Flash and select Always Activate from the drop-down menu. 3) If you want to disable it, just click Never activate. 1) Open a blank page in Opera. Press the Settings button, which is on the side menu bar on the left side. Then click Websites. Scroll down a little bit and click Manage Individual plug-ins… under Plug-ins category. 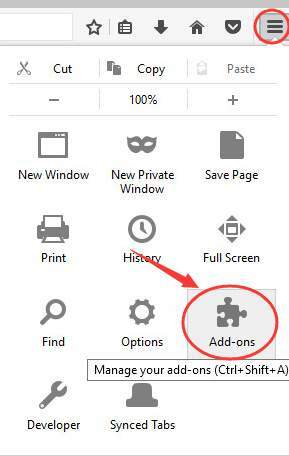 2) Make sure you’re seeing a Disable button here if you are to enable your Adobe Flash Player. 1) Open Edge browser. 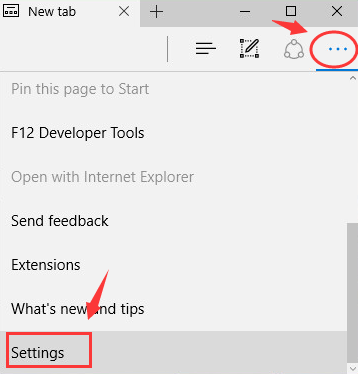 On the top right corner, click the three-dot icon and then Settings. 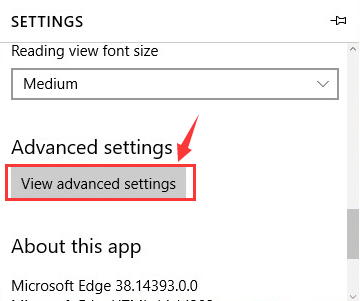 2) Scroll down and click View advanced settings. 3) Make sure the option for Use Adobe Flash Player is on. 4) Refresh your web page to view the change.